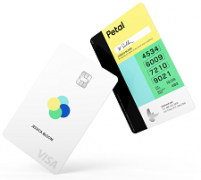 Petal, a New York City-based credit card start-up, has raised $34 million in financing. The fintech has been backed by Jefferies, which provided a variable funding note facility; and Silicon Valley Bank, which provided an operating company facility. Petal is led by CEO and co-founder Jason Gross, offers a credit card offer with no fees, no financial traps and no prior experience with credit required. It uses a process called “cashflow underwriting” and meshes big data with machine learning to “analyse an individual’s full digital financial record,” according to the company. Petal had previously raised $16.6 million, mostly from a $13 million investment led by Peter Thiel’s Valar Ventures earlier this year. Petal reports that there are over 100,000 people in its waiting list.